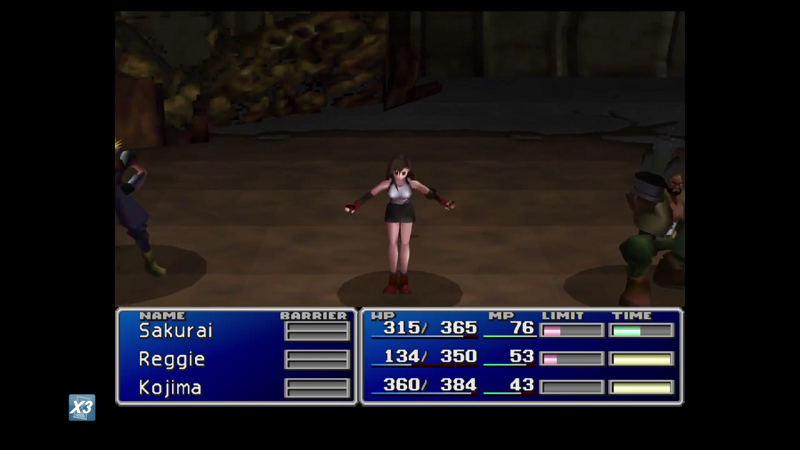 If you want to play the original Final Fantasy VII—whether you’re a first-timer or an old fan revisiting a classic—you should probably use cheats. That might sound sacrilegious, but I’m not talking about level boosters or item duplicators. Some of FFVII’s new cheats are actually tools that make the game significantly more enjoyable to play, letting you ditch some of the musty old relics of 90s role-playing. Specifically: You can A) speed up the game; and B) turn off all random encounters. Yes, you can turn off all random encounters. Every single RPG should have this option. It’s brilliant; all you have to do is press a couple of buttons to enable or disable encounters at will, so you can just breeze through dungeons at your discretion. Then, if you’re feeling underpowered, you can put random encounters back on but speed up the game so they don’t waste too much of your time. That last one is a bit much, but the first two are SO GOOD. Sick of that sprawling Knights of the Round animation? Want to get through the Midgar slums without having to fight any of those dumb houses? Don’t have 40-50 extra hours but want to replay FFVII anyway? This is the version for you. With just these two simple tools, Final Fantasy VII has transformed from semi-antiquated to a genuinely great use of your time in 2015.